As I told the gentleman from Canon one of the things I like most about them is they wait until a new technology is properly vetted before they put it into a camera. Unlike Sony, and I know they have decent cameras now, Canon doesn't just throw crap into a camera for the wow factor and to be the first to do it. They prefer to wait and release that tech when all the bugs are ironed out and it's ready for consumers. Similar to the approach Apple uses in Smart phones. Companies like Sony and Samsung rush to market and you have phones that get hot, batteries that explode and recalls. Same with Sony's cameras, batteries that are sub par and cameras that overheat and lock up. Canon is more concerned with their reputation for releasing quality cameras that are durable and reliable in the field. They don't want a customer shooting at say the 2020 games and part way through shooting an event, the camera gets super hot and locks up. They want their consumers to have a fully vetted system to use to make quality images. Their approach to Mirrorless Full Frame was a more muted release, which is why they got less flak from the community. Nikon does their release for the Z6 & Z7 and basically tell all the "press" there, "Here is our first Mirrorless Full Frame and it's basically a mirrorless D850". And then the camera has 1 card slot and doesn't perform nearly as well as the D850. They over sold the system and took their lumps. Canon does their release, "Here is our first Mirrorless Full Frame, it's an entry level model, like a mirrorless 6D2". Even though Canon's EOS R has only one card slot, it does at least have some Eye AF as well as Dual Pixel AF and the crowd goes wild. Totally different business models and Nikon took a lot of lumps on the Z cameras where Canon didn't because they didn't over hype their first release. Canon also was smart enough to release some quality, if over-priced L glass to go with their system right out of the gate. True I have the 1Dx2, I simply meant they will replace that line with a Mirrorless model in time for the 2020 games. From what I read the first Mirrorless was the Epson R-D1 and that was in 2004 Bob. yeah, true I'll keep testing items. I agree, I think a 5DS/R replacement this year and their first 1Dx replacement in time for 2020 games. Cool, I’ll have to try that. Than you sir! Yes Canon has already done a 100MP sensor and I think they are going to put it into their Pro FF Mirrorless and release it as a replacement for my 50MP 5DS/R. I think this year will also bring the 1Dx3 and that it will be there last high end DSLR. So I wanted to ask the folks here. Canon and Nikon released their first Full Frame Mirrorless bodies in late 2018 and they were decent starts for both companies, but were of course lacking compared to Sony's 5 year head start. A lot of folks are claiming that Canon can never catch Sony but I disagree, especially since Canon has been doing Mirrorless, just not FF. At least their first model the EOS R has Eye AF where Nikon's did not and they are priced closer to Sony. Now one other thing I wanted to share, I recently attended ImagingUSA 2019 and had a chance to have a lengthy chat with a man from Canon's CPS while my 6D2 was being serviced and although he couldn't give specifics, when I mentioned that I think Canon will surpass Sony in 18-24 months, he smiled and said "Wait till the world sees what we have coming, it will blow people's minds". What do you think, will Canon catch and surpass Sony or is Canon gasping for air? 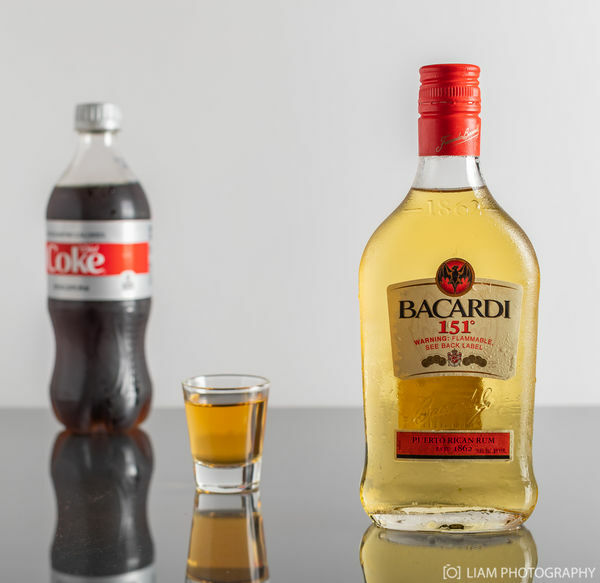 No, I have not had the opportunity to re-shoot it, mostly because I wanted to have a "sample" of the beverage in the shot glass but don't want to actually open my bottle of 151 as you cannot get it anymore. Was trying to find something I could get to the same color, but have been busy working. I had been watching some videos by Karl Taylor in the UK as he makes beautiful images for products but have just been too busy to try again myself. I got a very good paying job doing real estate photography, buildings and street are genres I am more of a natural at, but I wanted to give Product a try as well. 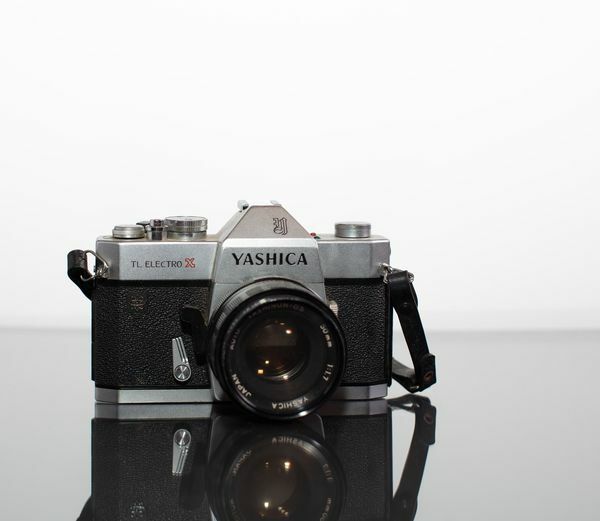 You certainly have some great images of your old gear! I appreciate the folks that gave pointers and constructive criticism. She wanted us to try something we'd never shot before. So I was attempting my hand at product photography. I shot this one as well but of course to some of you who were apparently born photographers who make millions a year at product photography. I'm sure you'll tell me I am trash once again. FYI, maybe instead of being a d---, you could just give constructive criticism and pointers or better yet don't comment at all. Yeah I have been trying to come up with a way to punch it up more. I shot this yesterday for my final portfolio class finishing my Bachelors in photography.